Knowing when to call the Cayman Islands’ emergency service can literally mean the difference between life and death. It’s important to know the circumstances under which to dial 9-1-1, and to be aware that prank, malicious or unnecessary calls can put lives at risk. Provided by the Public Safety Communications Centre, the 9-1-1 service processes emergency requests related to law enforcement, fire or medical incidents, and is the link between the public and the public safety agencies. Highly trained operators, known as telecommunicators, answer the emergency calls and provide life-saving instructions. Additionally, from the information obtained, call-takers determine the appropriate agency to render assistance and then dispatch them in a timely manner. 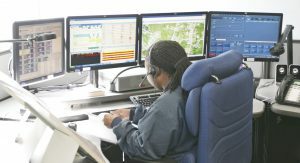 In the Cayman Islands, the Public Safety Communications Centre processes calls for all the emergency disciplines: law enforcement, fire and medical services. The 9-1-1 team also assists in urgent situations involving key services such as the CUC power company with outages; the National Roads Authority with road safety hazards; and the Department of Agriculture for potentially dangerous situations such as loose cattle. 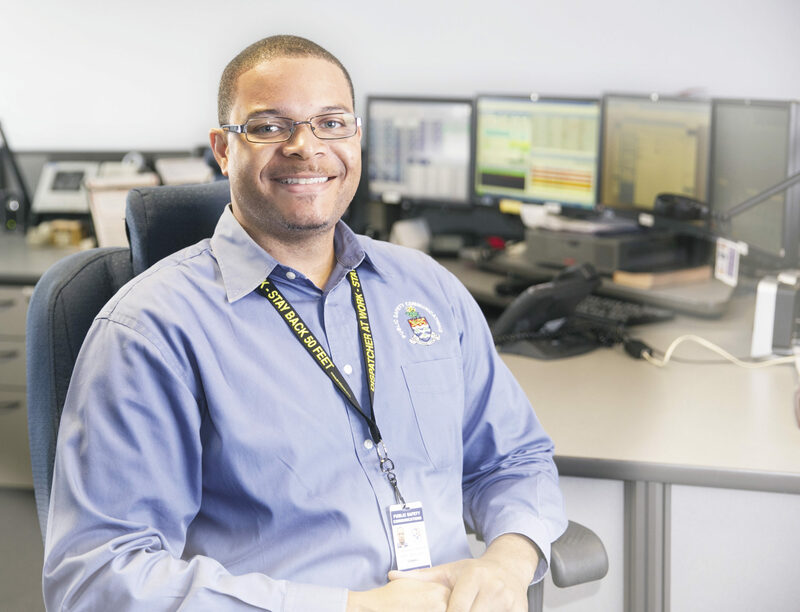 “Within the public safety community, an emergency is defined as an immediate threat to life or property,” explains Assistant Director of Public Safety Communications for Operations and Training Lennox Vernon. “Any situation that meets this definition should be reported through the 9-1-1 service. Any situation with the potential to escalate and have widespread impact should also be reported. Because the 9-1-1 service is free, Mr. Vernon says the system is sometimes misused. “Some people attempt to abuse this with requests to be connected with public safety personnel, or even family members, to engage in non-emergency conversations,” he says. Mr. Vernon says that dialing 9-1-1 accidentally, or children doing the same while playing with phones, can also cause problems. “Although these calls are inadvertent or accidental, we receive a substantial number of them which affects our ability to handle true emergencies,” he explains. However, if people are unsure whether a situation is an emergency or not, Mr. Vernon recommends that people call 9-1-1, just to be on the safe side. As well as day-to-day calls for help, 9-1-1 personnel are also specially trained to deal with large-scale disasters. In Cayman, there is a particular focus on hurricanes, as the islands are at risk of such storms for half the year. Emergency services professionals also plan for the likes of earthquakes, tsunamis, cruise and air disasters. As an additional responsibility, telecommunicators and dispatchers in the Public Safety Communications Centre are trained to work with the Electronic Monitoring Centre that is located within the department. This is responsible for the electronic monitoring of offenders using ankle bracelet devices as an alternative to custodial sentences. It takes a special person to work as a 9-1-1 professional, as the hours are long, unsociable and the job can be very demanding. For those who it does suit, however, it can be an extremely rewarding career. Most people identify telecommunicators as telephone operators but the reality is usually only noted after the person is hired. “Articles, and the likes, may explain everything about the job, but its uniqueness and the impact of constantly hearing issues other people have, the commitment to long working hours, the un-predictability of workday activities and few acknowledgements or recognition, takes a truly special person to enjoy coming back,” says Mr. Vernon. When job openings do arise, full training is given, presenting an exceptional opportunity to help ensure the people of the Cayman Islands are kept safe and well. The team from the Public Safety Communications Centre is happy to conduct 9-1-1 presentations to help further educate the public on the role of the emergency service. This includes talks for primary-age children, teenagers and adults at schools, group events and staff meetings. Each session typically lasts 20 to 45 minutes and includes time for questions. For further information, call the service’s administration line on 949-9008.